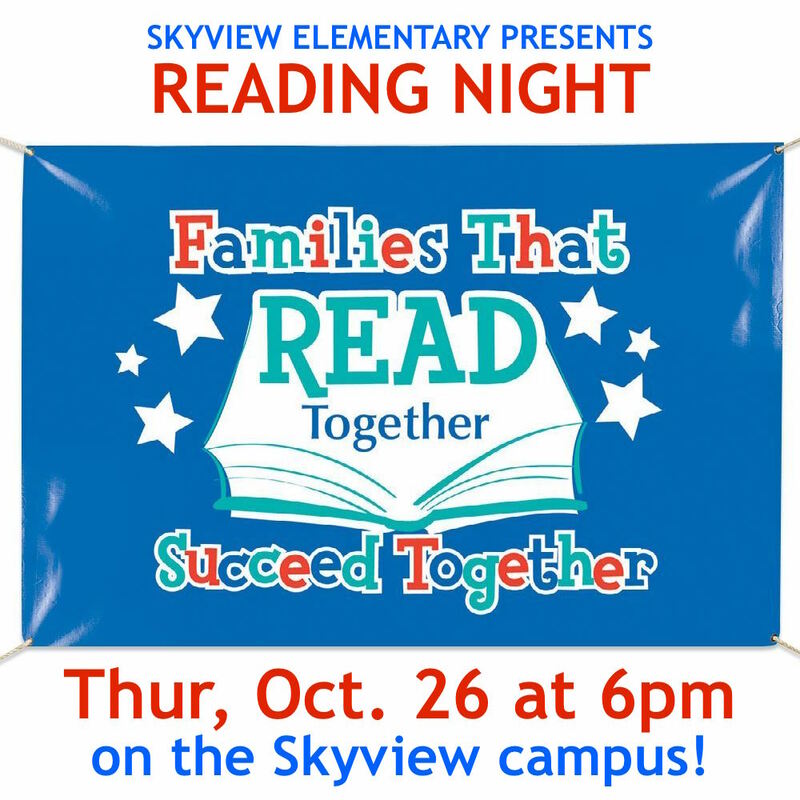 Join us for READING NIGHT at 6pm on Thursday, October 26th. We'll have books, snacks, and FUN for the whole family! On Thursday, October 26th between NOON and 9PM, El Pollo Loco on Forest Lane will donate 50% of your purchase back to Skyview PTA. Just mention Skyview at check out and show them the flyer blow! Join the Forest Meadow and Town Creek Neighborhood Associations on Tuesday, November 14th at 6pm in the Skyview Cafeteria for a "State of the Schools" address. Principal Dodd of Skyview and Principal Jones of Forest Meadow Junior High will address those gathered for an update on school progress and opportunities. A panel discussion and Q&A will follow! Welcome back to to school. Skyview PTA is ready for another great year and we want to make sure you have everything you need to start the school year off right! You'll find events listed on this page, as well as information about joining our PTA. Please find information about our school garden, our after school clubs, and our volunteer programs in the navigation above. And here is the link to RISD's Academic Calendar: http://www.risd.org/Group/Calendars/Calendars_Docs/2017-18_Calendar.pdf. If you'd like to contact us directly, please email our communications chair, Sarah Greenman, at skyviewptadallas@gmail.com. We look forward to working with you in the coming year! Inscríbanse al PTA de Skyview hoy!